Nothing can be more breathtaking than spending time communing with nature. Indeed, some of the most spectacular things that we will witness in our lives, are those that only nature can provide. No matter how hard we try, man simply cannot replicate its wonders. However, Mother Nature is not always pretty. Like any woman, she has her moments, and when she releases her fury, it can cause great destruction to all of us. Cyclones and typhoons are examples of natural disasters that we have eventually learned to deal with. Both are products of low-pressure areas that begin in the oceans, and are characterized by circular cloud formations on weather maps. They eventually make their way inland, causing us to experience heavy rains and strong winds that result in flooding, damage of property, and even the loss of lives. Although there are a lot of similarities between cyclones and typhoons, the manner in which the media relays information regarding these two natural disasters, allow one to believe that cyclones and typhoons are the same. One of the major distinctions between a cyclone and a typhoon is the location where it is formed. Cyclones are usually low pressure areas which are formed along the Indian Ocean and Southwestern Pacific Ocean, which are close to the Australian and African continents. They are commonly generated 160 east longitude. Due to the cold waters found in these areas, cyclones do not develop frequently. This is because, in order for a cyclone to develop in these waters, the waters must have a temperature of at least 80 degrees. On the other hand, typhoons originate in the Northwest Pacific Ocean. This is the part of the world where Asia is situated. Compared to cyclones, typhoons occur more frequently, because the waters in this part of the world are much warmer, and provide a better place for typhoons to develop. Another difference between cyclones and typhoons is that typhoons are usually characterized to be powerful storms that are accompanied with heavy rains and strong winds. Cyclones, on the other hand, can develop into two kinds of natural disasters. 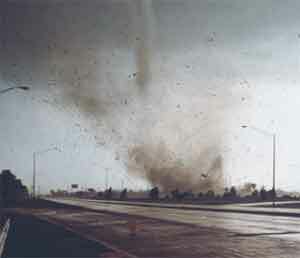 One is a tornado, which is known for its extremely strong winds. The second type is the thunderstorm, which is commonly associated with heavy rains, thunder, lighting and strong winds. 1. Typhoons and cyclones are natural disasters that develop as a result of low pressure areas occurring in the earth’s oceans, that can cause damage to property and the loss of lives. 2. Cyclones are violent storms that develop along the Indian Ocean and the Southwestern Pacific Ocean. On the other hand, typhoons develop along the waters of the Northwestern Pacific Ocean. 3. While both typhoons and cyclones bring about heavy rains and strong winds, a cyclone can also have the potential to develop into a tornado, which is commonly associated with extremely strong winds, that can lead to the damage of property and the loss of many lives, rather than just rain. Manisha Kumar. "Differences Between Cyclones and Typhoons." DifferenceBetween.net. January 23, 2010 < http://www.differencebetween.net/science/nature/differences-between-cyclones-and-typhoons/ >.